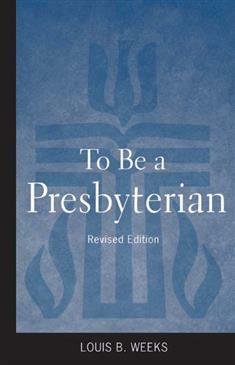 In this lay- friendly introduction to what it means to be a Presbyterian, Louis B. Weeks explains the life, history, tradition, and beliefs of the Presbyterian Church. Offering more than providing a brief overview, Weeks ties his explanations to actual congregational situations. Each chapter begins with an anecdote and then examines the theme in the following pages. It is ideal for new-member classes and for those who seek a refresher course on Presbyterianism. Originally publishing this volume in 1983, Weeks has updated many of the original anecdotes and added material to reflect decades of change in the PC(USA).